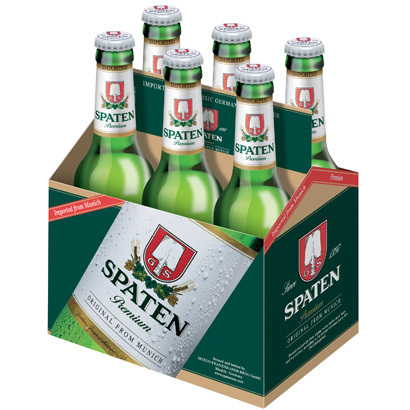 Spaten Premium Lager is a golden-colored pilsner-style beer, bottom fermented for an elegant, dry and hoppy flavor. Its full-rounded body is a superb balance between hops and malty sweetness. The extra fine Bavarian Hops create a crisp, clean finish for easy drinkability. One of Germany's most successful breweries, Spaten is deeply rooted in Munich's venerable beer-brewing tradition. In 1867 it grew to be the largest brewery in Munich and in 1922 began delivering beer to North America.